With the festivities just round the corner, do you have any plan to go for a short trip or holiday with your family? 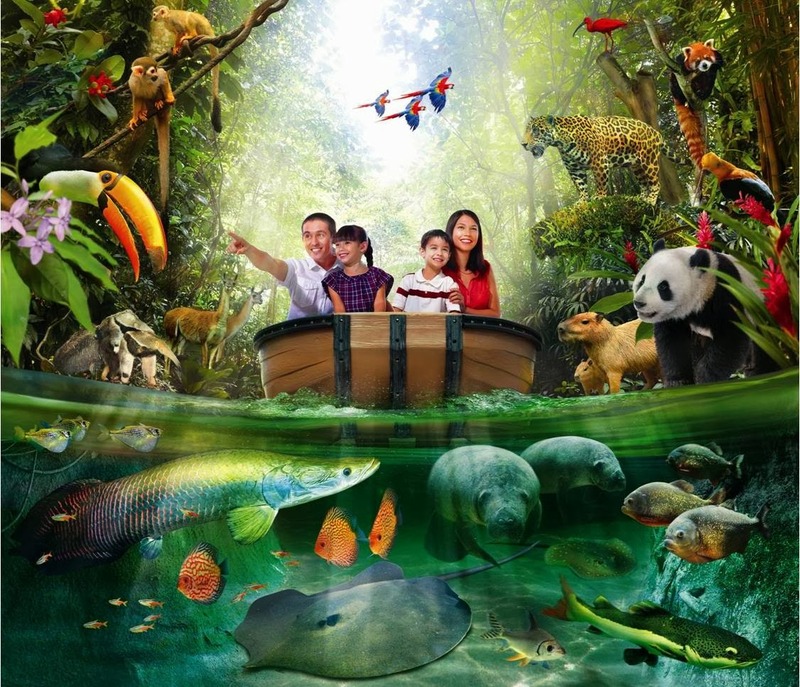 Pack your bags and get the whole family over to the roaring city of Singapore for an enriching line-up of experiences at the world’s iconic rivers at River Safari. River Safari is also home to a pair of giant pandas Kai Kai and Jia Jia that resides in a climate-controlled exhibit along the Yangtze River zone. River Safari is Asia’s first and only river-themed wildlife park, and is the newest addition to Wildlife Reserves Singapore’s portfolio of award-winning parks. Occupying 12 hectares, it houses one of the world’s largest collections of freshwater animals. The park is home to over 150 plant species and 5,000 animal specimens representing 300 animal species. The city of Singapore is brought to life with exciting wildlife encounters at the four parks managed by Wildlife Reserves Singapore, namely Jurong Bird Park, Night Safari, River Safari and Singapore Zoo. Discover the rare and endangered freshwater dwellers from iconic river habitats at the newly opened River Safari, Asia’s first and only river-themed wildlife park. A large part of the park is designed to profile freshwater habitats from iconic rivers of the world such as the Amazon River, Mekong River and River Nile. River Safari will take you on a journey to discover the unique aquatic and terrestrial animals from eight river habitats as well as the cultures that surround these rivers. Animal attractions in the park include river giants and mega fishes such as the giant river otter, giant salamander, giant freshwater stingray and the critically endangered Mekong giant catfish, all housed in themed exhibits representing each river zone.